Cute hair accessory for the holidays. 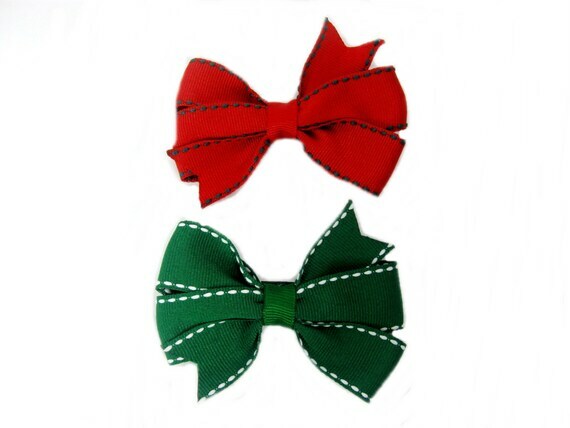 Red and green Christmas hair bows measure 3 inches and are attached to partially lined alligator clips. Bows are handmade and are just perfect for all ages. Cute on little girls and excellent for adults.